i'm currently obsessed with beer infused foods. i've even worked it into a few breads. i've tried to like it. honest. because i see labels on bottles & think, gosh that must taste good. i'm just one of those girls who's always going to have a fruity drink in her hand, if anything. because beer + food = heaven. so i've made no less than 3 loaves of beer bread over the last month. and each one of them was gone in less than 48 hrs. 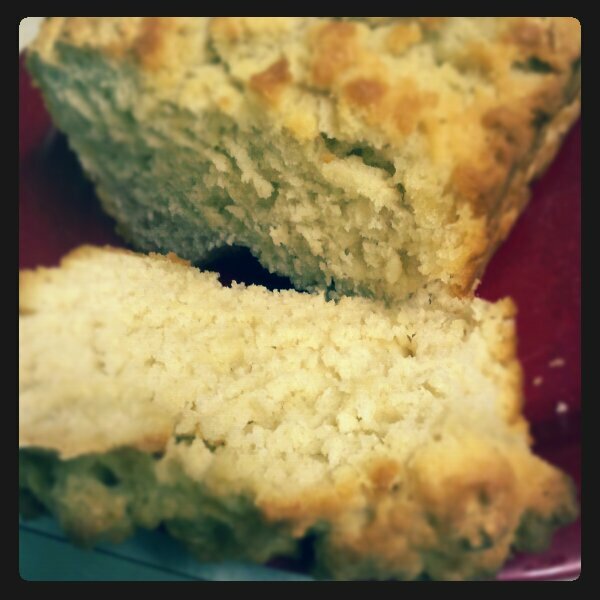 i made this honey beer bread recipe first via gimme some oven. adapted from the original recipe below from ezra poundcake. but this recipe from ezra poundcake (found via pinterest, of course) has become the go-to. because it tastes just as good & doesn't require the honey which i never seem to have! i used the whole stick (salted). it's bread with beer, why skimp on the calories now?! it's even good the next day toasted with some butter on it. i'm thinking this would be a great non-sweet treat to make & take to someone as a christmas gift. wrap a little cellophane around it & call it good!